37. וְסוֹד זֶה לָמַדְנוּ, שֶׁהַקָּדוֹשׁ-בָּרוּךְ-הוּא נוֹתֵן מִטָּתוֹ בֵּין צָפוֹן לְדָרוֹם, וְאוֹחֶזֶת הַבֵּן הַזֶּה בְּוַדַּאי, וְעַל זֶה יֵשׁ לִבְנֵי אָדָם לָתֵת מִטָּתָם בֵּין צָפוֹן לְדָרוֹם. וְזֶה לִמֵּד אוֹתִי אַבָּא, שֶׁנּוֹתְנִים לוֹ בָּנִים זְכָרִים. שֶׁהֲרֵי הוּא הִתְכַּוֵּן כְּלַפֵּי הָאֱמוּנָה הַשְּׁלֵמָה הָעֶלְיוֹנָה, בִּשְׁלֵמוּת הַכֹּל, לְגַבֵּי הַקָּדוֹשׁ בָּרוּךְ הוּא שֶׁהוּא בֵּין צָפוֹן לְדָרוֹם, וּלְגַבֵּי כְּנֶסֶת יִשְׂרָאֵל שֶׁמְּאִירִים (שֶׁהִיא) שֶׁהִיא בֵּין צָפוֹן לְדָרוֹם – וַדַּאי יִהְיו לוֹ בָּנִים זְכָרִים. 38. וּבַכֹּל צָרִיךְ לְהַרְאוֹת מַעֲשֶׂה כְּמוֹ שֶׁלְּמַעְלָה. וּכְמוֹ שֶׁמַּרְאֶה מַעֲשֶׂה לְמַטָּה, כָּךְ מְעוֹרֵר לְמַעְלָה, וּפֵרְשׁוּהָ. שָׁמַע רַבִּי פִּנְחָס וְנָשַׁק לְרַבִּי אֶלְעָזָר, וּבָכָה וְצָחַק וְאָמַר, אַשְׁרֵי חֶלְקִי בָּעוֹלָם הַזֶּה וּבָעוֹלָם הַבָּא. The Holy One Blessed be He places his bed, which is Malchut, between North and South so the Light of Zeir Anpin can flow to Malchut. With this verse we connect our bed to the sefirot of Zeir Anpin. Each of the six sefirot has 10 sefirot of their own. It gives us the connection to Zeir Anpin that we need during the night. It’s very important for us to understand and follow the prayer books. They are the best technology that connects us to the spiritual levels where we can draw the Light we need into our lives. We may not understand the prayers but they affect our souls in ways beyond our grasp. Even if our mind can’t understand the prayers and their purpose, we should do it for the benefit of our souls, while seeking the knowledge that will enhance our connection. The great Kabbalists were ‘religious’ as religious can be. 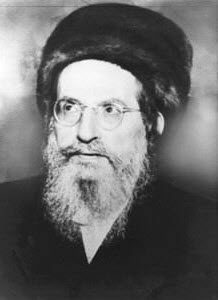 Rabbi Shimon, The Holy Ari, Rabbi Ashlag, Rabbi Brandwein, the Rabash, Rav Berg and many other great Kabbalists in recent generations were all religious in their prayers. So religious in not non-spiritual. The opposite is true. To be spiritual is not just to know what is Ana B’Koach and the 10 sefirot. It’s about connecting spiritually and that is why we call this knowledge ‘Kabbalah’. The prayers and the study of Torah is the technology of “to receive”. We should follow the great kabbalists and become religious like them in order to have some affinity with their teaching. It will make us more spiritually connected. There’s an important spiritual rule that the Zohar mentions in paragraph #38: what starts below has spiritual awakening above. And as we study about the Tree of Life, whatever starts above comes down through a process of manifestation (Hishtalshelut). With our prayers we can tap into the forces that created the world. Obviously we need high level of purity for that but we can definitely affect our lives for the better with our prayers. It’s not going to happen with one prayer but as we progress, we purify our souls and are able to channel greater and higher levels of Light. The Daily Zohar is not an organization and we don’t offer a place for prayers but wherever you go, I suggest that you express your desire to have a better spiritual connection and postpone the ‘social’ aspect of the gathering until after the prayers. The Holy Ari tells us that every word we utter creates an angel. The words of the prayers create many angels that help us everyday. When we meditate properly we can send these angels to other people in our lives. The sacred word of the prayers create powerful angels that carry our consciousness. To study the prayers I recommend the prayer books of the Kabbalah Centre. They have very good explanations. I wouldn’t use it myself for actual prayers because the direction of pages are from left to right. It maybe convenient for those who use to read English and flip pages from left to right but it is a mistake in my opinion because it goes against the flow of the Hebrew that is from Right to Left. The purpose of right to left is to brings Chessed to Gevurah to ‘sweeten’ judgments and that gives better control over the Left. I mostly use the original prayer book of the KC in Hebrew. I also have and use other important kabbalistic prayer books. The Daily Zohar gives you a daily dose of high Light that is very important for everyone, especially for those who don’t know how to pray using the Hebrew prayer books. They should ask and find ways to learn the prayers, starting from the 18 morning blessings, the morning Shema prayer and the bedtime Shema prayer (Link below). I plan to bring more prayers with explanations.